Great crossword puzzle for those with IC. When I was first diagnosed. My doctor had me a pamphlet and said to read it and try to find support groups. He did not explain to me what interstitial cystitis was, nor did he tell me of the horrible pain that I would entail. 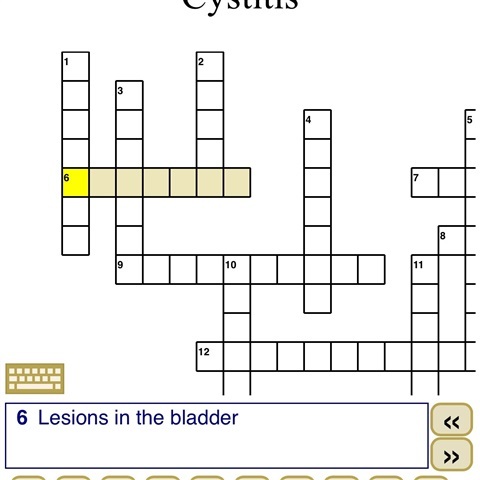 I created this crossword puzzle to help newly diagnosed patients understand the disease, the pain, and what treatments they may intail.